Two University of Notre Dame researchers are included in a new ranking of the top chemists of the past decade. Joan F. Brennecke, Keating-Crawford Professor of Chemical and Biomolecular Engineering and director of the Notre Dame Sustainable Energy Initiative, and Prashant Kamat, Rev. John A. Zahm Professor of Science in the Department of Chemistry and Biochemistry and Radiation Lab and concurrent professor of chemical and biomolecular engineering, are on a list of the 100 top chemists published by the Times Higher Education group. The list is intended to celebrate the achievements of 100 chemists who achieved the highest citation impact scores for chemistry papers (articles and reviews) published since January 2000. Citation impact (citations per paper) is a weighted measure of influence that seeks to reveal consistently superior performance. 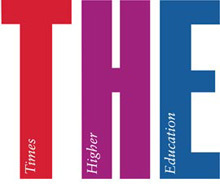 To ensure that a high score could not be achieved by a few highly cited papers, a threshold of 50 papers was used in the analysis. Brennecke is listed at 45th with an average of 74.26 citations per paper and Kamat at 58th with 64.9 citations per paper. 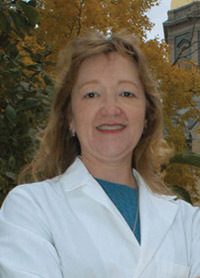 Internationally known for her research in the development of solvents, specifically supercritical fluids and ionic liquids, Brennecke’s research interests include supercritical fluid technology, ionic liquids, thermodynamics, environmentally benign chemical processing, and carbon dioxide separation, storage and usage. Throughout her career, Brennecke has received numerous awards for her research, as well as for her contributions in the classroom. She is the recipient of the Ernest Orlando Lawrence Award from the United States Department of Energy (DOE) for her exceptional contributions in research and development supporting DOE in its mission to advance the national, economic and energy security of the United States. She also was selected as the 2008 Julius Stieglitz Lecturer Award by ACS. She also has received the 2007 John M. Prausnitz Award for outstanding achievement in applied chemical thermodynamics from the Conference on Properties and Phase Equilibria for Product and Process Design, the Professional Progress Award from the American Institute of Chemical Engineers (AIChE) and the 2001 Ipatieff Prize from the ACS in recognition of her high-pressure studies of the local structure of supercritical fluid solutions and the effect of this local structure on the rates of homogeneous reactions. In 1991, the National Science Foundation honored her with the Presidential Young Investigator Award. A member of AIChE, ACS and the American Society for Engineering Education, Brennecke is past chair of the Council for Chemical Research and currently serves on the editorial board of the journal Green Chemistry. Kamat has directed solar photochemistry research funded by the Department of Energy for more than two decades. 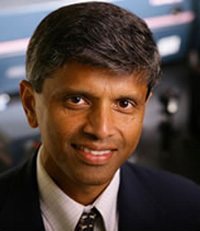 His research has made significant contributions to the areas of photo-induced catalytic reactions using semiconductor and metal nanoparticles, nanostructures and nanocomposites, advanced materials such as inorganic-organic hybrid assemblies for utilizing renewable energy resources, and environmental remediation. He has shared his expertise as a member on many national panels on nanotechnology and energy conversion processes. Kamat serves as executive editor of the Journal of Physical Chemistry A/B/C, a leading publication of the American Chemical Society. He is a member of the advisory board of the scientific journals Langmuir, Research on Chemical Intermediates, Interface, Electrochemical and Solid State Letters and International Journal of Photoenergy. He also has served on many national exploratory panels in the area of nanoscience, energy conversion and environmental remediation. Originally published by William G. Gilroy at newsinfo.nd.edu on February 14, 2011.